Posted on April 7, 2013	by . With Bacolod City’s new residential and commercial community rising in the center of town, homeowners will need to spend less time, gas, and effort commuting to work and places of leisure. 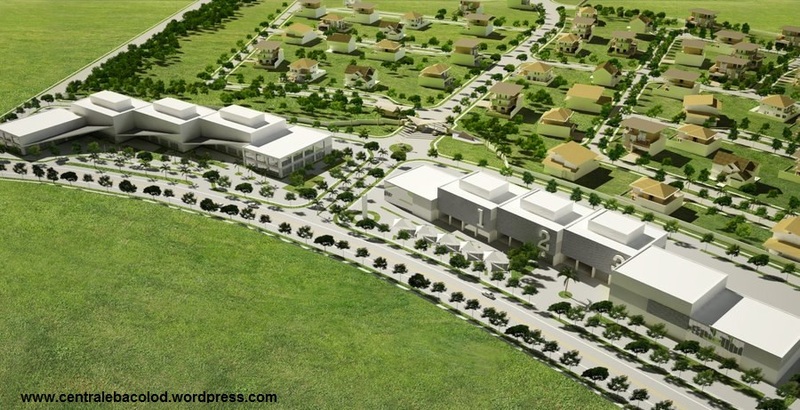 Families with kids will appreciate the close proximity of Bacolod’s top schools within minutes from their home. This is what CENTRALE BACOLOD has to offer residents of Negros Occcidental wherein many real estate investors are finding it more difficult to locate their families within easy reach of daily conveniences such as groceries, Churches, schools, shopping malls and their respective offices. This new real estate development is located in the center of Bacolod City surrounded by places of worship, the best hospitals, shopping areas, the province’s main business district and the city’s top schools such as the University of St. La Salle, St. Scholastica’s Academy, St. John’s Institute (Huwaming), Creative Beginners, L’Ecole, and A Child’s Place. The developers have also allocated a special economic and business zone at the perimeter of this new residential community. This makes going to the office much more convenient if you would consider moving your office to Centrale’s commercial and business strip. Regarding entertainment and facilities, this new residential community offers amenities that makes it convenient for families and homeowners to enjoy weekends and free time without going too far to find something to do or some place to go to pass the time. Aside from the standard “in-house” subdivision amenities such as swimming pools, playgrounds, and basketball courts, the commercial strip at the perimeter of the residential area can offer entertainment for adults, children and teenagers. This commercial area will eventually house restaurants, cafe’s, bars, retail shops, and offices. Those who still work in Bacolod’s old business districts will also find it more convenient to live in the center of town wherein offices and business interests will be within a few minutes’ drive from home. 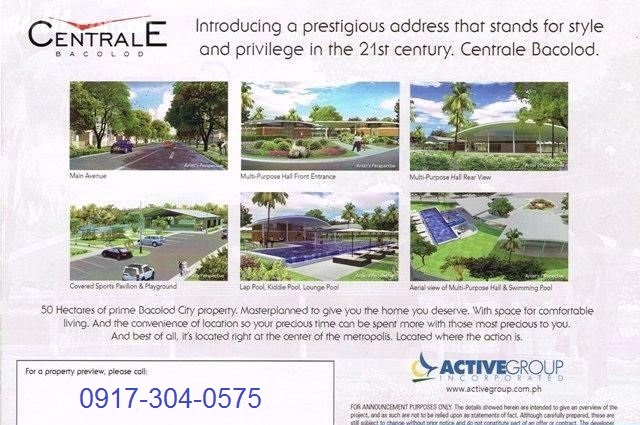 For more information about Centrale Bacolod lots for sale, email BacolodCentrale@gmail.com or call +639173040575 to reach a licensed and Centrale accredited broker. Watch the video below to see the developer’s perspective. Thank you and feel free to explore this blog site for more details such as lots sizes, price, and a map you can download or save to your computer. This entry was posted in Centrale Bacolod, Negros Real Estate, Video and tagged Bacolod City Lots for Sale, Centrale Bacolod, Centrale Bacolod Video, centrale lots for sale bacolod, Lots for sale Bacolod, Negros Real Estate, Video. Bookmark the permalink.